Parassala B. Ponnammal was only 16 when she got a grade as a sin­ger with All India Radio. That was in 1940, when India had just a handful of broadcast stations and the one nearest to her house was at Trichy by the Cauvery, over 400 km from her village in the kingdom of Travancore. Teenaged Ponnammal went on to perform at weddings as a Carnatic vocalist, before her career took a curious turn. By 1942, soon as she topped a three-year course from Swathi Thirunal Music Academy in Thiruvananthapuram, Pon­nammal got her first job: as a teacher in the city. From then, the artiste pocketed several firsts alongside a rising profile, but all under the shadow of a strange irony spanning seven decades. Tamil Nadu, and its capital Chennai, where Carnatic flourished after Independence, totally igno­red Ponnammal after the Trichy milestone. A frontline disciple of 20th c icons Harikes­anellur Muth­iah Bhagavatar and Semman­gudi Srinivasa Iyer, even in her native Kerala she wasn’t much celebrated either for long. Often slotted as a theorist-­teacher, she was seldom heard in the concert circuit. Then, in 2006, she got a big ‘break’ when the annual Navaratri Mandapam festival at Thiruvanan­thapuram’s Padma­nabha­swamy temple inv­ited her to perform—the first-ever female artiste to be called to that ceremonial occasion, which was into its 187th edition then. The octogenarian, performing on day one, expa­nded upon the Sankara­bharanam composition of Swathi Thirunal (1813-46). Baby Sreeram, another female vocalist to perform at Navaratri Mandapam, attributes Ponnammal’s “effortless, errorless and matured” music to her lifelong discipline. “I’m told she never gave private tuitions; instead spent quiet hours after her day’s teaching in institutions,” notes Baby. Ponnammal joined the Academy as a teacher in 1952 and helmed RLV Music College near Kochi for a decade from 1970. Madurai-based vocalist K.N Renganatha Sharma, whose father Cherthala Narayana Iyer was a contemporary of Ponnammal at the Academy, values the “restraint” in her music. “She doesn't go for cerebral exercises with rhythms, or that over-flourish in swara progressions.” Author-archivist Krishna Moorthy rues the lack of too many recordings of Ponnammal in her prime. “That would have given better direction to new-gen mus­icians keen to break tradition,” adds the scholar who has written a biography of voc­alist Neyyattinkara Vasudevan. Sreevalsan J. Menon, a disciple of Vasu­devan who learned a few kritis from Ponnam­mal, cites her dignified approach. 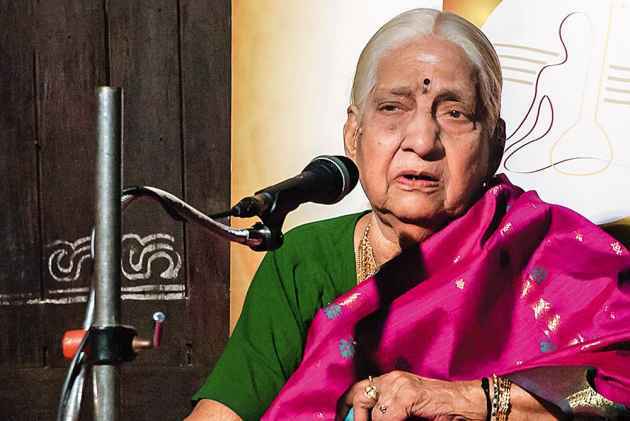 “Replicat­ing some of her trademark gamakas is next to impossible.” Chennai-based veena pla­yer-banker S. Sivaramakrishnan recalls how the city’s music circles are entr­anced by Ponnammal’s lesser-known compositi­ons. “Some hail her as a ‘golden girl’. 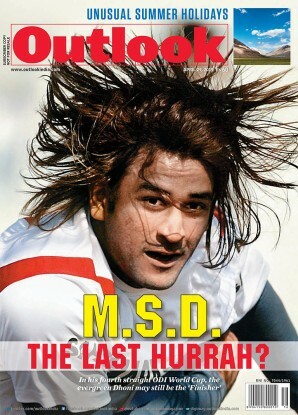 They have stumbled upon a DKP from Kerala,” adds the aesthete, referring to D.K. Patt­ammal, who also hewed close to the lower (mandra) octave.